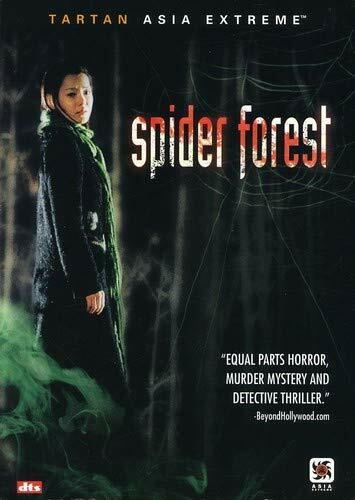 Spider Forest - BUY THIS DVD! Deep in the forest, a man and woman have been brutally attacked in a cabin and left to die. Arriving too late, Kang chases the killer only to be hit by a speeding car. Barely surviving surgery, he now finds himself a prime suspect. He cannot shake the feeling that there are strange gaps in his memory regarding that night and the killer's identity. While police set out to confirm his story, he begins his own quest to remember the truth about the murder and himself. 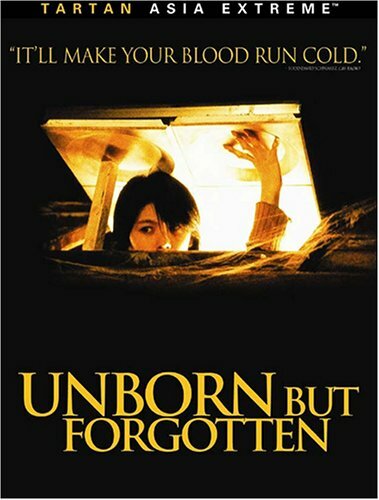 Unborn But Forgotten - BUY THIS DVD! A website seemingly kills every woman who views it within 15 days. A female reporter begins an investigation that leads to the discovery of the site known only as The White Room. Uncovering the secret has its price, leaving her only 15 days to solve the mystery behind the cryptic portal and break the curse before its too late. THEN SEND IN YOUR NAME AND ADDRESS TO contests@efilmcritic.com. Put "ASIAN HORROR IS HARD TO FORGET" in the subject line and cross your fingers. We will draw names and one of the DVDs from Tartan will be yours. Only 1 entry per household.